The aftermath of an auto accident can be a confusing time. Of course, your first priority should be the safety and well-being of all those involved. But what happens after the dust settles? As you review the accident, you might start to wonder whether the accident could have been avoided. If you feel that you deserve compensation for your injury, lost wages, hospital bills, or vehicle damages, call The Jaklitsch Law Group. Our auto accident attorney in Chesapeake Beach, MD, can help you determine how much compensation you’re entitled to. From there, the auto accident lawyer will assist you through every step of the case. 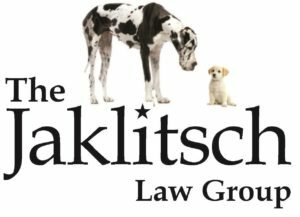 When you choose The Jaklitsch Law Group, you enlist the help of an experienced car accident attorney. Our founding partner has been handling nothing but injury cases for 34 years and our lawyers have over 75 years of combined experience. After your accident, you could face costly rehabilitation. Our team is here to help you get the compensation you need to make it through this trying time. We know that you are in a difficult situation and our truck accident attorney does not charge any fee unless there is a recovery in your case. Are you ready to meet with a wrongful death attorney in Chesapeake Beach, MD? Call us today at (866) 586-6079.